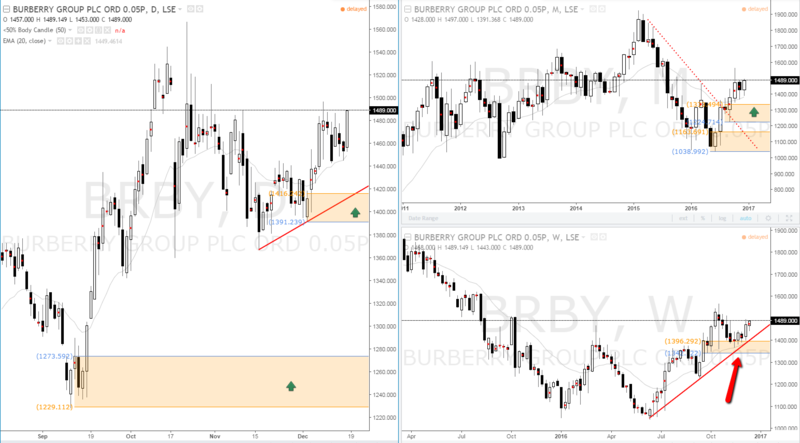 Burberry LSE UK Stock long bias at new areas of demand. New monthly demand zone created, weekly demand level in control. New daily demand zones being created for longs. Price could continue to rally higher creating new imbalances.